Over the years I have tried some interesting wines, with names I had never heard before. Tannat, for example. This is a french grape whose name translated means “tannin,” which is the taste you get from a grape’s seeds, stem and skin. As I have found, making wines of my own, there’s a lot more to making wine than just fermenting juice! Red wine, for example, starts out as clear grape juice; it’s the contact with a grape’s skins for a period of time which imparts color and, in turn, tannin. In France, particularly the colder northern parts, Tannat tastes too harsh to make palatable wine. 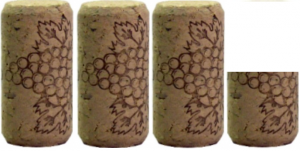 It is usually blended with other grapes to lessen the astringency. But in Uraguay, the grape is mellower and bold, and tastes more like Malbec to me. 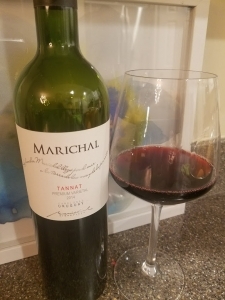 Tannat is actually the official grape of Uruguay, which provides the perfect mix of terroir: windy, humid, oceanic, cool compared to further north in the continent, but warm enough to ripen it beautifully. On my five-cork scale based on taste and value, I give the 2014 Marichal Tannat 3.25 corks! It’s an exotic bargain for $13.99 at The Party Source.